Involving and engaging commuter students on campus is a priority for schools. Generally, commuter student retention is lower than students living on-campus or in college owned housing. This could be the result of a number of factors: commuter students not feeling connected to the school brand (house proud); lack of social connectedness; increased distractions/ responsibilities from non-academic sources; lack of amenities on school grounds created for their complex lifestyle, etc. Fortunately, technology offers a conduit to increased connectivity. While technology alone will not be a campus cure-all for commuter retention, it can help support engagement, encourage group interactivity and provide conveniences to keep commuters on campus longer. Technology Rich Lounges- lounges located in central locations are good for commuter students who need a place to park in between classes. Dedicated areas with student- accessible TV’s can promote student interaction. Sharing content on these displays, playing games, and customizing what they watch will make it more likely that they stay put. But make sure there is plenty of charging for their devices! All that sharing can run down a battery pretty quickly! Small Group Study Rooms- Commuter centers with small group study rooms or huddle spaces outfitted with collaboration software our content sharing technology encourage collaboration and group academic work. And, as we know, group work enhances community, character and team skills. 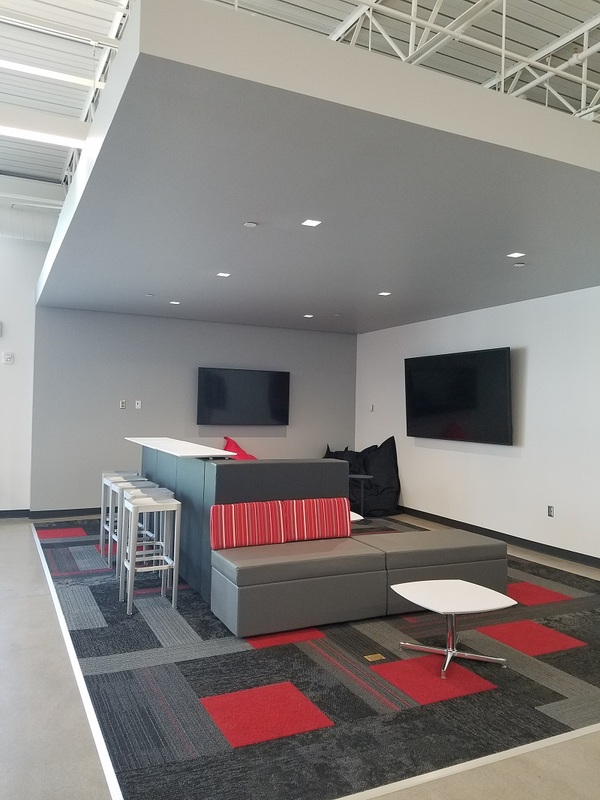 Creating more inviting, customizable, defined and comfortable spaces for commuter students will encourage increased interaction. Commuters find value in spaces that address their needs directly- not in spaces that can be shoe-horned to work for all. Technology helps to create customizable environments to help commuter students stay on campus when they can, and to create a feeling of affinity toward a school that understands their requirements, is empathetic toward their challenging lifestyle, and addresses the multi-faceted demands on their time. Isn’t this what “design-thinking” is all about.